Nissan’s Social Media Marketing campaign has the engine of a huge company, but the heart of small one. I was truly surprised by the sincerity, integrity and intimacy by which Nissan operates their program. For a car company trying to make money in times that are extremely difficult, I I was surprised how little of the discussion was about sales, ROI, or monetization. It was quite obvious during the course of the discussion that sales were the goal of some other Nissan department. The social media marketing department was about customer experience and branding. Social Media is “turning content into conversation”. While Nissan exists to sell cars, our social media mission “is to create a value exchange”. The entire night focused on one core concept – brand advocacy. 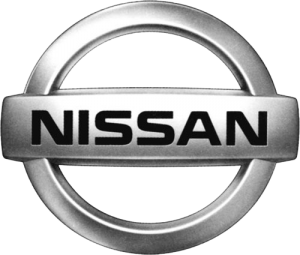 Nissan described brand advocacy as “others talking positively on our behalf”. Even their official Mission Statement was built around that premise. It reads, “Our mission is to engage people around authentic Nissan product and service experiences, any way they choose”. Who would ever have thought a car company would be so insightful? They propel their core “brand advocacy” objective two ways. The marketing component involves delivery of original, engaging content with the goal of creating conversation. Some of the content they deliver is via the Nissan national ad campaigns and the rest is organic to the social media team. They do strategize their content (ie a marketing calendar), but news, customers and events sometimes derail that (which is a good thing). The part about “not everything has to be positive” made an impact on me. Mainly because it seemed out of character for what must be a very hierarchical company. With so many levels of management, I would have thought they feared negative comments. They do have some rules against profanity and some other things, but have found the occasional negative comment to be quite useful. Those comments bring their cheer leaders (brand advocates) out of hiding ready to fight negativity on behalf of Nissan. They also have learned of potential problems long before they traditionally would have. Besides who can’t detect “bull” these days. They’re right – not everything is perfect. Manicuring posts just eliminates that authenticity. I appreciate their attitude toward all feedback. The second component, customer experience, involves managing customer inquiries, complaints, questions, ponderances and the occasional crisis. This is where the “any way they choose” part of the Mission Statement comes in. When customers have something to say they do it the easiest way possible. Some call, some email, some post on Facebook. Conversely to the traditional thinking that is bred in large companies, Nissan does not feel the need to funnel these comments to specific windows of communication – but rather chooses to be responsive wherever the customer feels like engaging. With as many product lines and social networks as there are – it’s admirable that Nissan has made themselves available in many places. All in all, I was pleasantly surprised by the sincerity of their social media goals. After hearing the presentation, I’m not sure why Zappos and Comcast get the love for their social media campaigns. Seems like Nissan’s name should be added to that pop culture list.